Conspiracy theorists alike have long suspected that there might be ninth planet in our Solar System, far out beyond the orbit of Pluto. Is there anybody out there? Two astronomers say they have found evidence that a planet around 10 times the mass of Earth is lurking in the outer reaches of the solar system, on an orbit that comes no closer than 200 times the distance between the sun and Earth. Dubbed Planet Nine, it hasn’t been seen directly. Instead, Konstantin Batygin and Mike Brown of the California Institute of Technology in Pasadena have inferred its existence from the strange orbits of other, smaller bodies. The researchers discovered the planet’s existence through mathematical modeling and computer simulations, with these evidence they confirmed there should be no debate of the existence of this planet. The orbit of Planet Nine is extreme. The world would be extremely cold and dark -- which is why no one has ever taken a direct picture of it. Indeed, so controversial is the planet that Batygin and Brown initially launched their investigation to prove Planet Nine did not exist, and disprove the 2014 paper by Sheppard and Trujillo. 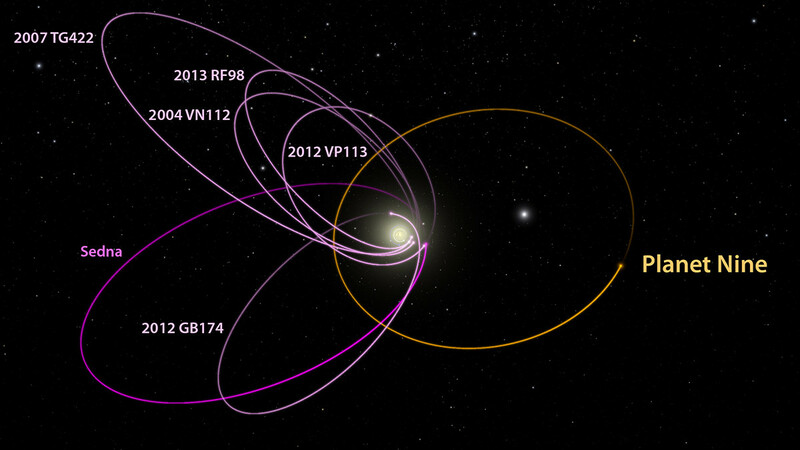 But after building on research by other astronomers, Brown and Batygin found their computer model of the object's orbits only worked if Planet Nine existed; the "clustering" of the objects was only possible if a ninth planet was affecting their orbits, twisting them by up to 90 degrees and keeping them from coming as close as expected to the Sun. "It's almost like having six hands on a clock all moving at different rates, and when you happen to look up, they're all in exactly the same place," Brown said in a statement. "Basically it shouldn't happen randomly." "Shouldn’t something like that be hard to miss?" Brown told Scientific American. "Yes, you would think so. This a case where we had our noses buried in the data, never stepping back and looking at the Solar System from above. I couldn’t believe I'd never noticed this before. It's ridiculous."